Entry by Ippo Tsuko on Thu May 2 18:25:56 2013. 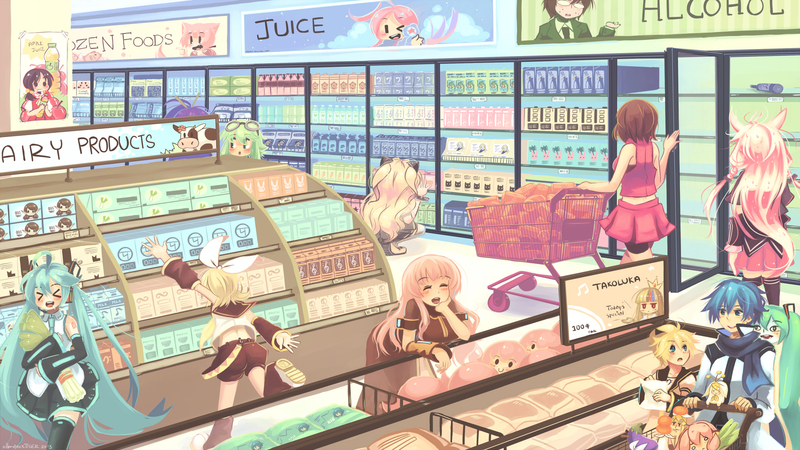 The Vocaloids make grocery shopping fun! So Kiyoteru is the model for Alcohol? !